Tough, tough day. Short distance wise but incredibly humid. There was some rain overnight and the morning was overcast with the cloud cover keeping a lid on the moisture and retaining the suns heat. To top this off much of today’s walking was in thick forest with no wind penetrating through the canopy. It was a sweat fest. Stephen was off just before me and I didn’t see him again. Vicky past the yard on her way out of town to say hi and I didn’t see her until right at the end of the day. The rest of the gang were still getting packed up and ready to start the day. By 7:15am I was off onto the road for around 6km following the Owai Stream until entering the Kaiikanui Forest and onto a bush track. It was hot and by 8:30am I was saturated with sweat. It continued to pour out and really sapped my energy. By 10:00am and well into the forest I was onto the rehydrating salts given I ‘d already chugged down two litres of water. There was no way I could keep just drinking water all day. Along the way, I hit the 300km mark. Nice going me. The forest was nice. One incredibly long ridge line went up and up and up. I had to slow the pace down considerably. Sweat was pouring out and dripping off my hat constantly. But like anything hard and worth doing I reached a pine grove with incredibly views across the coast and Pine Knight Islands. Better yet, up high in thinned maintained pine, there was wind! The perfect lunch spot. I stripped down to my shorts and hung everything out to dry in the breeze. I’ve been in the habit of taking shoes and socks off at lunch to rest the feet and let them breath. It was just what I needed. Cooled down, fed and hydrated my energy levels were back up for the last push into Whananaki. 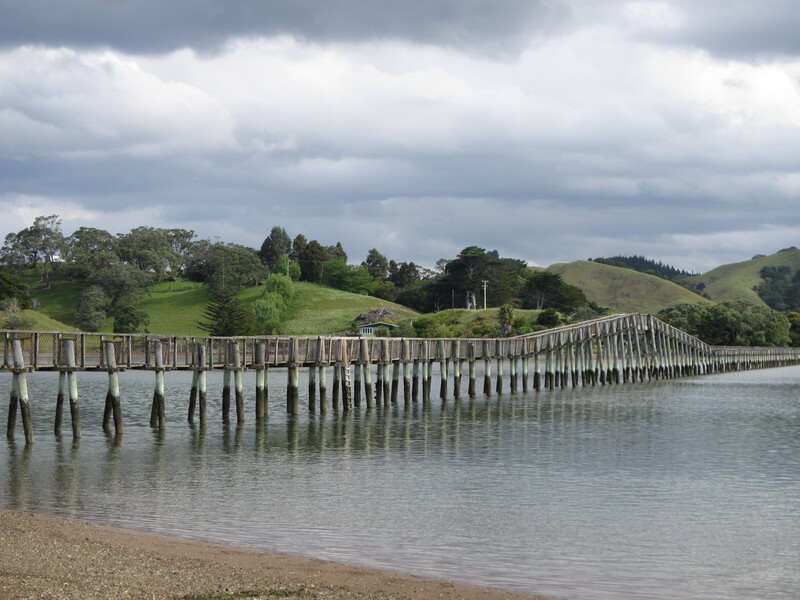 Following the track down through farmland, a small piece of road walking and some additional paddock bashing, the emerged along side the estuary. And easy stroll then led me straight to the shop for a much needed gatorade. Vicky was here as I arrived but continued onto Matapouri. 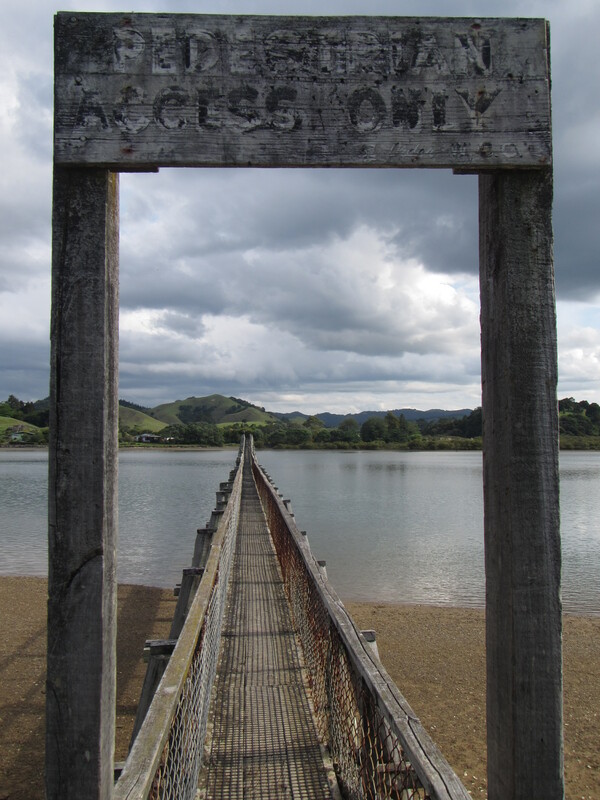 I was done for the day and made my way to the Whananaki Holiday Park. 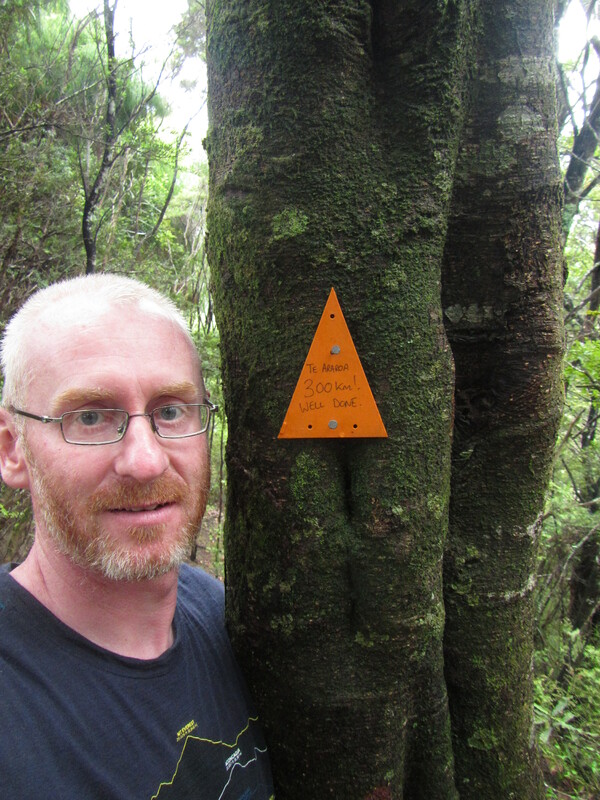 The guys that run the park are what we trampers refer to as ‘trail angels’, people along the Te Araroa who go out of their way to help TA trampers. On arrival I was greeted with a very warm welcome, ope arms and a huge congratulations for having made it this fair. The park has the sweetest deal for trampers. 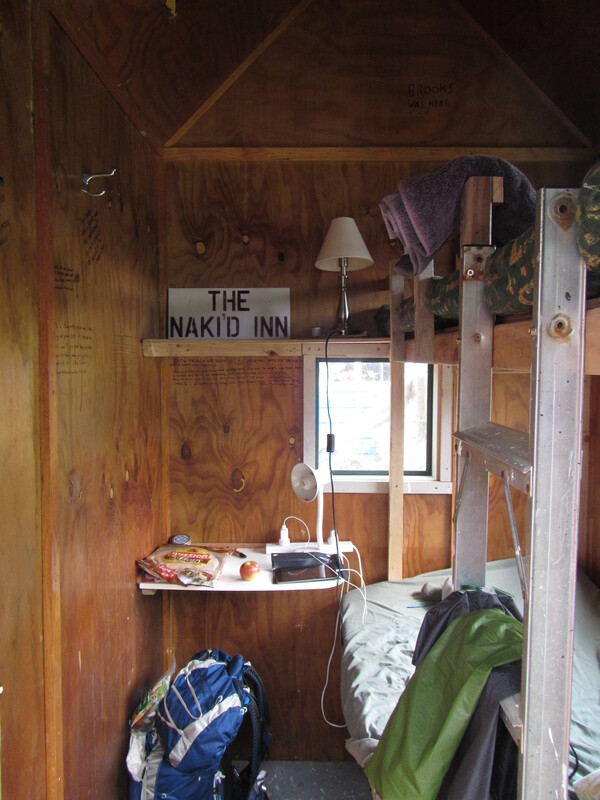 For $15 I’m staying in the famous Nakid Inn, basically a converted garden shed with bunk beds specifically set aside for trampers. Included is unlimited wifi, power and recharging, a towel, a warm shower, washing if needed, delicious fresh fruit and a veggie patch to help yourself to. Wow!! Great way to finish the day. They also keep a list of all the walkers who come through the park. To date they have recorded 139, now 140 trampers. The trail has certainly become very popular over the last few years. Only around a third of these guys will make it to Bluff and some that come through are only completing part of the trail. As I type this, the girls from the US and Czech Republic have arrived and are getting settled. To top the day off a small rural school, Tangowshine School, is having camp here for a few days and had excess burgers for dinner. You what they say about the way to a trampers heart is through their stomach, we didn’t need to be asked twice. Sven and Katherine have also arrived. Man this trail is busy. 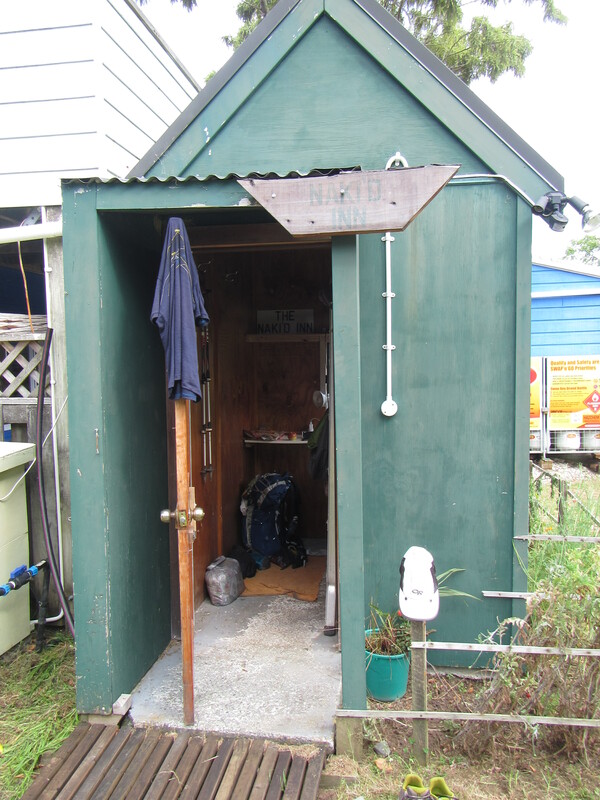 Onto another pair of trail angels tomorrow Melva and Hilton at the Riverbank Homestay who also look after trampers.